I thought I’d check out some horror to get into the October mood, and I found this book in my library’s catalog. A few clicks and a few days later, I had it. I read this book in a weekend plus a Monday. It read fast, with a crisp, intelligent, tantalizing nightmarish voice; I loved it. The Bone Mother as a whole was okay. Not bad, not great, but okay. Had I known it was a series of short stories, I might have passed it up. I’m not a huge fan of short story collections. The Bone Mother is divided in to short stories from varying points of view – each story is titled with a name of the story’s main character. Sometimes the main character dies, sometimes the main character does the killing, other times he is a passive observer. I admit; I read some stories faster than others. The very last story in the book seemed to drag while others I read twice. Regardless of that, the writing is what kept me reading. Demchuk had a very tantalizing way of writing. He gives just enough details for you to wonder – to imagine the worst – imagine some mad mystery, without revealing the truth. We all know that a horror movie is scary until the monster is revealed. Without knowing exactly what’s out there, what’s after you, what’s about to maul you and gnaw on your bones, there’s a level of fright that comes out of that unknown. It could be nothing; it could be something terrible. 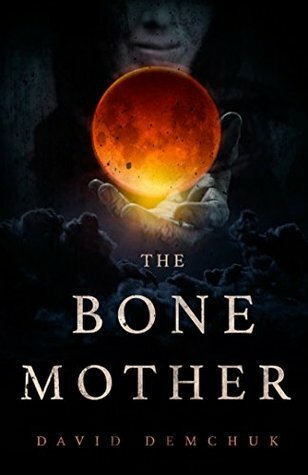 I gave The Bone Mother a 3 out of 5 because while the writing was fantastic and perfect for the season, the stories themselves left me wanting more. I’d rather have a singular story where I can fully invest in the main character, instead of jumping to someone else every few pages. The characters themselves felt like the same person – which might be an interesting way to read it. For a glimpse of this book, the first story opens with the marriage between two brothers – yes, you read that right. Two brothers. Same mom, same dad – got married. In the first paragraph. It was little things like that that made me reread sentences; Demchuk told strange things in a very simplistic, matter-of-fact tone; I also liked that he included gay characters, straight characters, and transgender characters without batting an eye or making it a huge deal. If you’re looking for a chilly, quick read for the season, I suggest checking this book out! ‹ PreviousHow do I write a novel?